This two bedroom bungalow with a covered terrace stretching the length of the house overlooking the swimming pool. It is about ten minutes walk to the nearest beach access road and from there to Turtle Bay beach and the Watamu Marine Park. 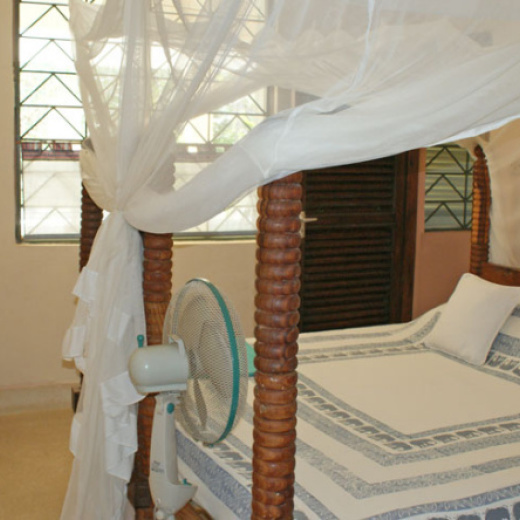 Both bedrooms have overhead fans and mosquito nets and en-suite bathrooms. The kitchen opens into a small living area which in turn opens onto the covered terrace with plenty of seating. 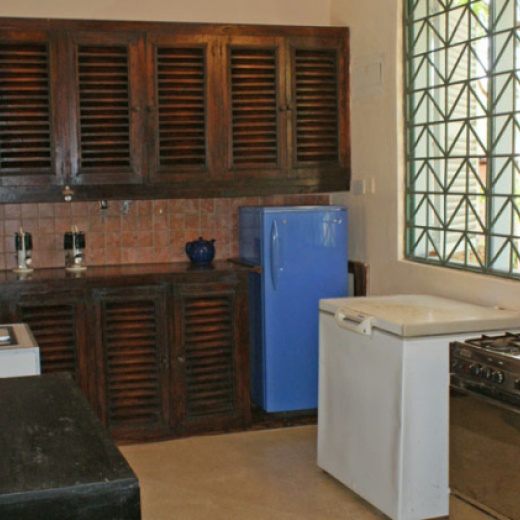 The property is staffed with a caretaker and a cook. It can sleep a maximum of four people (including children). There are many activities within in the area. The Arabuko-Sokoke Forest is another unique place to visit near Watamu. It is one of the largest stretches of Brachystegia woodland on the East African coast.